It’s no secret that my favorite night of the month is book club. 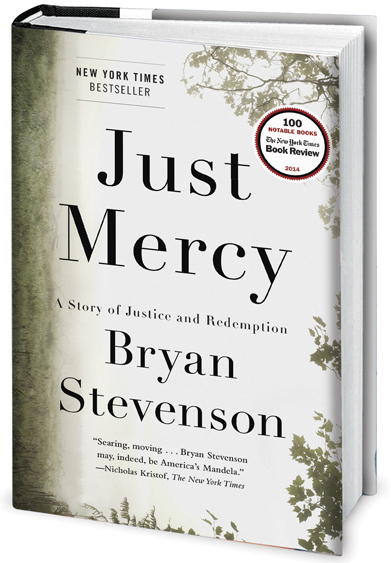 This month we read Just Mercy by Bryan Stevenson. How good is this book! Don’t read it before bed because it is too disturbing — the way our justice system is fixed — against children, women, people who have no money for counsel, African Americans, and people with mental illnesses. And God forbid, you fit more than one of those categories, you are done for. Locked up and forgotten. Or worse, abused, raped in prison. And that’s all before your hearing even starts. My years of struggling against inequality, abusive power, poverty, oppression, and injustice had finally revealed something to me about myself. Being close to suffering, death, executions and cruel punishments didn’t just illuminate the brokenness of others; in a moment of anguish and heartbreak, it also exposed my own brokenness. You can’t effectively fight abusive power, poverty, inequality, illness, oppression and not be broken by it. a strain of hope — a light when the wrongfully charged are freed. It is an important book. I will be honest. I did not vote for this book. (We have a complicated voting system to pick our books.) I was hoping for fiction. But maybe next month. In any case, I’m glad I read this and I hope you will read it too. And then talk about it.